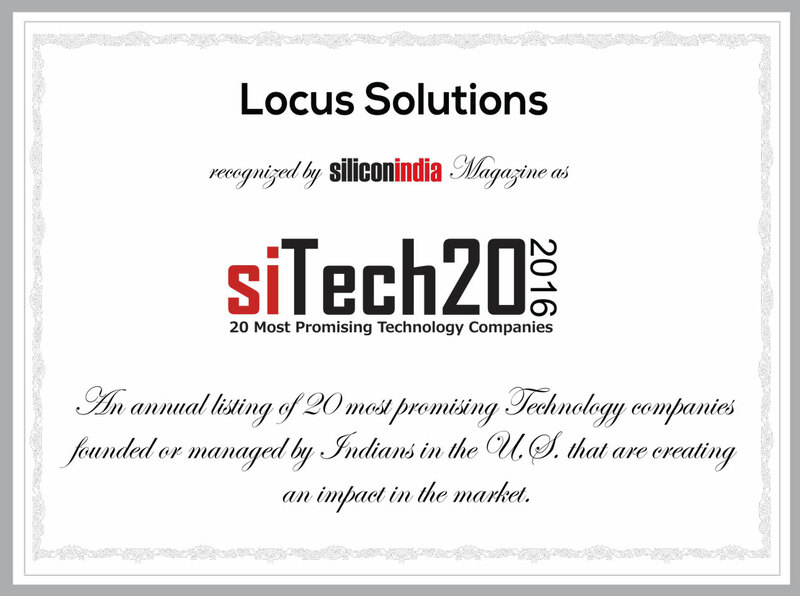 Locus Solutions receives recognition by SiliconIndia for the company’s explosive growth. After evalaution from many quantitative and qualitative elements, Locus Solutions has been selected from hundreds of entries. The positioning is based on evaluation of Locus Solutions specialties in Business Analytics, Financial Performance Management, Cognos, IBM, license optimization and implementation & managed services. Its global delivery model provides an advantage to customers to deliver a best-in-class solutions in an ecomical way.